Kingston has recently announced two new capacities for their Kingston SSDNow mS200 mSATA SSD. In addition to the 30GB, 60GB and 120GB, they are adding a 240GB and 480GB variant. mSATA Solid State Drives has become popular these past few months, specially in mobiles devices. The Kingston SSDNow mS200 mSATA SSD allows system builders and PC enthusiasts a cost-effective performance boost with quicker boot time and application loads while requiring less power than HDDs. Check out its features, specifications and where to buy below. 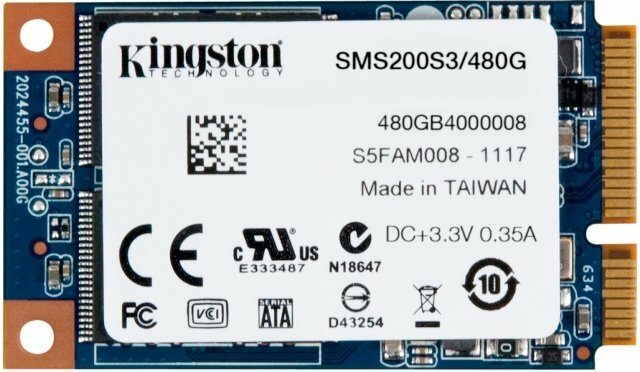 The Kingston SSDNow mS200 mSATA SSD 240GB and 480GB capacities (at the time I posted this article) are currently not listed on popular online stores yet. But the 240GB is expected to be priced below $189 USD, and the 480GB should be around $249 USD. The prices for the 240GB and 480GB are just my speculations though. But the 30GB is priced at $49.26, 60GB at $59.95 and 120GB at $94.60.